New for 2019! A rifle with all the characteristic of a custom tactical build with stock price! Seekins Precision just introduced the newest rifle in their tactical line – the HAVAK Bravo. Featuring the Havak action, match grade 5R barrel, and the new KRG Bravo Chassis, this rifle is the perfect platform for you to compete in the Precision Rifle Series production division. Or, if you’re just looking to ring some steel at the range, prepare to be on the receiving end of envious remarks and stares from your buddies. The Bravo is one of the most comfortable stocks available but that’s just the beginning. The precisely machined bedding area will put your action in its happy place nearly like it was custom bedded in there. The full-length stiff aluminum backbone will not allow the forend to flex on you but does allow design modularity with loads of accessories and even other KRG chassis. The ergonomic adjustments are just what you need to fit your frame, so you can pull off the difficult shots. Of course, it takes AICS mags right out of the box. The Havak action has a full diameter bolt and 4 locking lugs with 90-degree bolt throw. The bolt lugs, when locked in battery, are oriented at 3 and 9 o’clock. This is different from the typical 12 and 6 o’clock positioning that places the bottom lug directly behind the feed ramp where there is very little material in the action. The Havak bolt design allows for a generous feed ramp situating the bolt lugs in the strongest area of the action. The Havak Bravo features a Matte “Armor-Blak” finish mounted in a KRG Bravo Chassis, detachable magazine system, and Timney 510 trigger factory set at 3-3.5 lbs. The 5R match barrel features Seekins lite-tactical contour and 5/8-24 muzzle-threads, ready for your favorite suppressor or muzzle brake. Each rifle is meticulously hand built, inspected and test fired with factory match ammo. A rifle with all the characteristic of a custom build with stock price! The Seekins Havak has arrived. 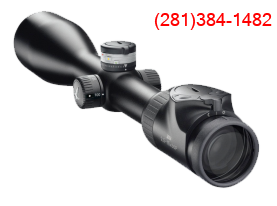 With its bead blasted finish and spiral fluting this rifle is ready to meet all of your precision shooting requirements. The action has 4 locking lugs with 90 degree bolt throw. The lugs are oriented so that when locked in battery they are oriented at 3 and 9 o’clock. This is different from the typical placement at 12 and 6 o’clock positioning that places the bottom lug directly behind the feed ramp where there is very little material in the action. This allows for a generous feed ramp and situates the lugs in the strongest area of the action. Every rifle is hand bedded with the pillars flush mounted and perfectly paired to its action. They come with a flush mounted detachable magazine system. The barrels are properly free floated and each rifle is test fired for accuracy with factory match ammo. Timney adjustable trigger – factory set at 3 lbs.